In late October, Ellison's enterprise IT powerhouse broadened its presence in cloud computing by acquiring cloud-based customer service software provider RightNow for $1.43 billion. 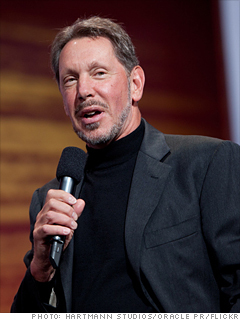 It was Oracle's biggest acquisition since 2010, when Ellison paid $7.4 billion to take over Sun Microsystems. In the same month, Ellison announced what he calls the Oracle Public Cloud, a web-based platform for enterprise technology services. He rescued the coffee chain. It had record financial results this year. Now the CEO is on a campaign to save the country from its politicians. Here's how he blends capitalism and activism.